Today people should understand the importance of operational transportation. The idea is to perceive not only the convenient transport but also its effectiveness. Besides, these inclinations of people will serve as a benefit for both social and economic sectors. The economies of different countries have a keen interest towards the improvement of the greenness effect on people. Many enhancements in the car industry help people to cope with the negative implications of gas emissions (Barbalace, 2009). The hybrid cars also prevent the use of fossil fuel. In other words, this alternative solution could help people to stop polluting the air. Simultaneously, it helps to improve the transportation sector with effective energy technologies. Therefore, the use of effective energy technologies allows people to improve the transportation sector by using electric cars and not emitting fossil fuels and CO2 into the air (Barbalace, 2009). 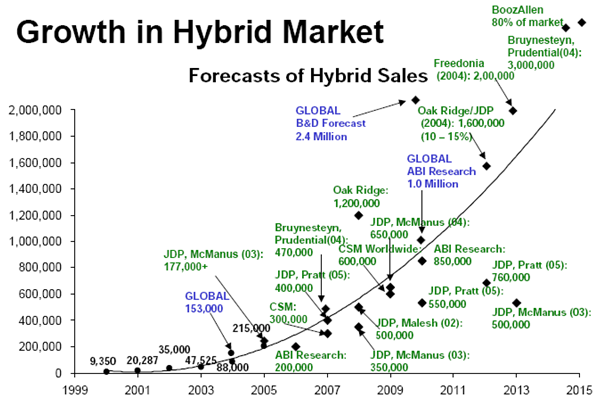 Many people have a keen interest in the use of hybrid cars today. It happens because of their value that addresses the characteristics of the hybrid electric cars and their value for people. Such technologies have a strong positive impact on the development of the foreign economies and growth of the foreign automobile markets. The growth of these markets does not require any changes in the infrastructure. However, it will need the establishment of additional charging stations that would use bio-fuel technologies to recharge hybrid vehicles. Overall, it has an extensive positive effect on the international economy and car markets in the developing countries. Refer to the chart 1 below for more details on the market size and growth rate forecasts by 2015 (Motavalli, 2012). The information in the speech outline will provide the most important aspects that people should know about the use of hybrid cars and their values for the human beings. A. Not many people today can afford to buy a hybrid electric car since the HEV technology is extremely expensive. Therefore, these initial expenses are included in the original price for the hybrid cars. 1. The minimal cost of purchasing a hybrid car starts from $20 000, the maximum cost varies depending on the car type and could reach up to $900 000. 2. For example, Honda equipped with HEV technologies costs around $20 000 – $24 000 while Porsche equipped with HEV technologies costs around $845,000 – $929,000 (Hybrid cars, 2014). B. However, the comparatively high price of the hybrid cars pays back after a while. In other words, people do not spend money on the fuel or gas. 1. The average price rises in its cost for the last decade from $1 to $10 per gallon depending on the country. In case people multiply the cost of gas or fuel, they will save about 50% of expenses in the next year. However, it depends on the number of miles / kilometers driven each year (Hybrid cars, 2014). 2. In other words, people can gain the difference in prices for gas and fuel in the next ten or fifteen years after the purchase of a hybrid electric car. In addition, the use of the hybrid cars allows people to save on the lifecycle expenses. Overall, it occurs that using HEV technologies helps people to save much money compared to the use of conventional vehicles. These figures address the mileage, upkeep expenditure, driving conditions and annual expenses on the hybrid cars’ life cycle (Barke, Clouse, Stout, & Stout, 2009). In all, it has a direct relation to the benefits of the hybrid vehicles and their values for people. A. The use of hybrid electric cars is completely safe for the nature since they do not have any emissions of CO2 or the fossil fuels in the air (Barbalace, 2009). 1. At the same time, it has no harm to the nature and is a hundred percent free for people. B. In other words, the use of hybrid technologies helps people to eliminate any possible emissions such as the harmful sulfur oxides, hydrocarbons and nitrogen oxides. 1. The use of the HEV technologies also protects the nature from the consumption of fuel and gas, which results in no emission of CO2 and non- CO2 to the air (Barbalace, 2009). C.The use of both biofuels and electric vehicles also helps people to cause no threat at all to the natural environments during the traffic jams. 1. At the same time, the bio and electric technologies allow people to decrease the level of fuel and / or gas usage compared to the conventional vehicles (Motavalli, 2012). The advantages of the hybrid electric vehicles directly depend on the advantages of the HEV technologies. A. Many hybrid cars, including the plug-in hybrids (PHEVs), occupied electric vehicles (EVs), and fuel cell vehicles (FCVs) use similar technology platform such as the electro-chargeable batteries and electronic power engineering. 1. Consequently, the use of HEV technology guarantees better performance of the hybrid electric cars compared to the conventional vehicles that use gas or fuel. B. As a result, the global economy strives to improve the worldwide climate by establishing a hybrid economy across the globe (Desonie, 2009). 1. The scientists believe that the use of HEV technologies will help to diminish the air pollution and greenhouse emissions. C. Simultaneously, by using the hybrid cars, people can solve the problems with energy transportation. 1. In other words, it means that the global countries will take advantage of the massive supply of energy to improve the working capacity of the hybrid cars. D. As a result, it will also improve the economic stability of the countries that use HEV technologies in their target automobile markets (Desonie, 2009). 2. 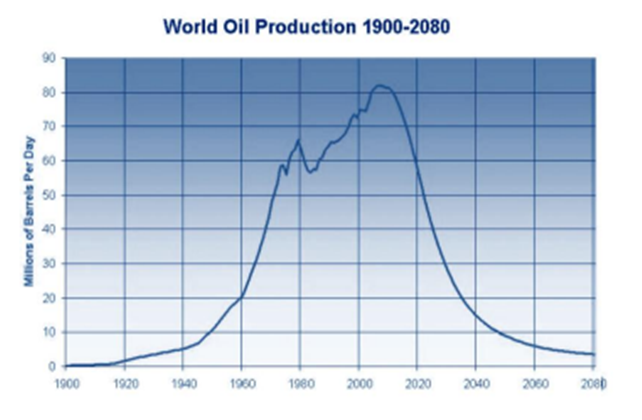 The solvation of the global problem also addresses the annual reduction of fuel in the world, which promotes the growing demand for the HEV technologies. E. In addition, people globally use the hybrid cars due to the increased operating characteristics of the HEV technologies (Anderson, 2011). 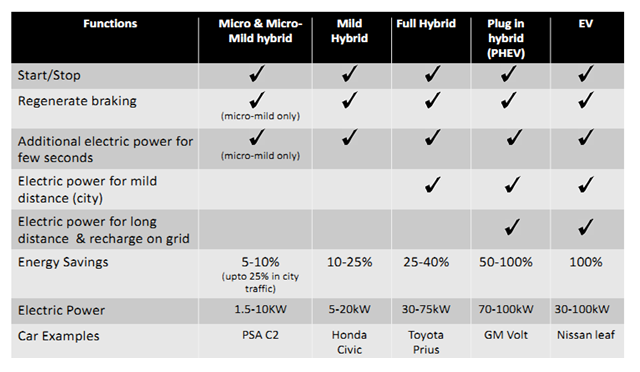 The above aspects that outline the overall benefits of the hybrid cars add more value for people all over the world. It has a direct relation to the number of advantages outlined in the speech. The advantages of hybrid electric and biofuel vehicles include the reduced fuel usage compared with the reduction of emissions. The use of these vehicles also significantly abridges the pollution of air with the harmful emissions such as the fossil fuels, CO2 and non-CO2 emissions. As a result, it protects people and overall natural environment and leads to the improvement of the global greenhouse effect. The HEV technologies allow people to take advantage of the better-quality mileage and no need to refuel their cars all the time. The HEV technologies also guarantee better performance of the hybrid vehicles compared to the conventional cars. There is also no need to use fuel while increasing the speed of driving. At the same time, the hybrid cars have a lesser engine and other mechanisms that decrease the overall weight of the hybrid cars and thus improve their performance. The hybrid electric vehicles offer more opportunities for people in regards to the advantageous mileage, lack of pollution to the atmosphere and maintenance costs. Because of the advantages that the hybrid cars offer, people can save much money on consuming gas or fuel. They can also pay back the half of the price of the hybrid electric vehicle in around ten to fifteen years. The use of hybrid vehicles causes almost no harm to the natural environment people since it people since there is no pollution and an increased power source compared to the conventional vehicles.